We welcomed the return of Redeem-Her as Stephanie Douranakis reminded us of the nonprofit program whose mission is to provide support to women committed to staying free from addiction. Located in Toms River this house of eight residents offers hope and help to women reentering the community from rehabilitation facilities, jails and prisons. With housing, clothing, food, employment and most importantly, support from women who have shared similar experiences, these women can achieve success in their lives. Stephanie then introduced Olga who is a current resident of the house. Though Olga came from a large, supportive family, there was alcohol abuse history there as well. She departed for college having graduated high school with honors and with a scholarship to play basketball. But during her second year spring break, she discovered she did not have her love for alcohol under control and her life began to spiral. Even with going to detox, she found her first step afterward was to a liquor store. After failed attempts of recovery and with a new resolve, she located a business card for Redeem-Her and gave them a call. 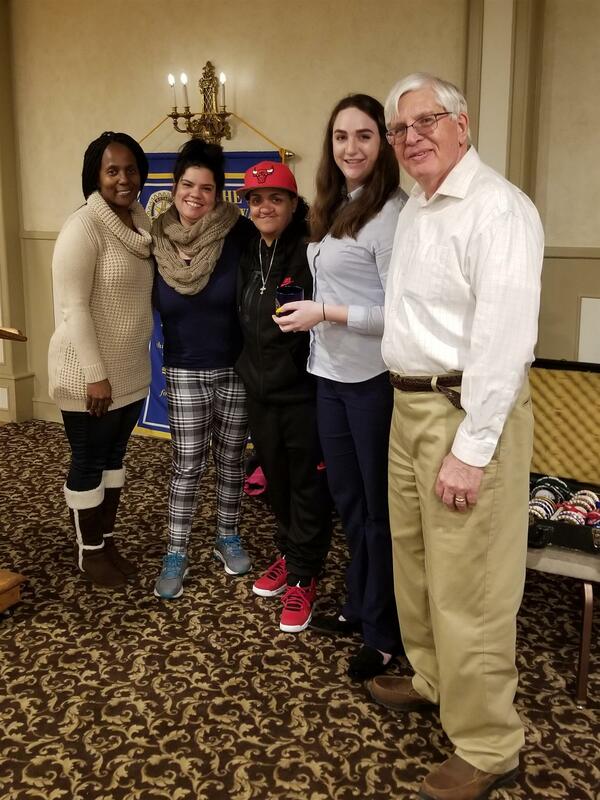 After being interviewed she was accepted into their program and made the unfamiliar journey from the inner city of Trenton to the country-side of Toms River. She was given a sponsor and now two and half years later she has reclaimed her life and her self-esteem. She is still taking recovery one day at a time, but says with the safe haven that Redeem-Her has given her, she can continue to succeed. We applaud both her efforts and her commitment to succeed as well as a program that has offered her, and others like her, hope.